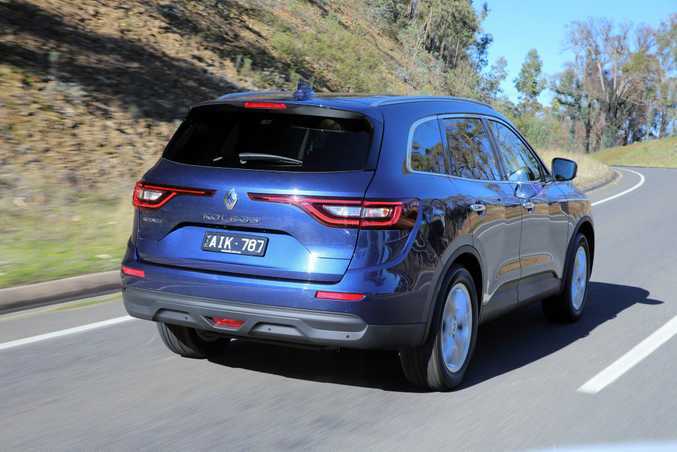 SHARPENED UP: Sub-$30,000 entry point makes the much-improved and larger Renault Koleos SUV a stylish tempter. 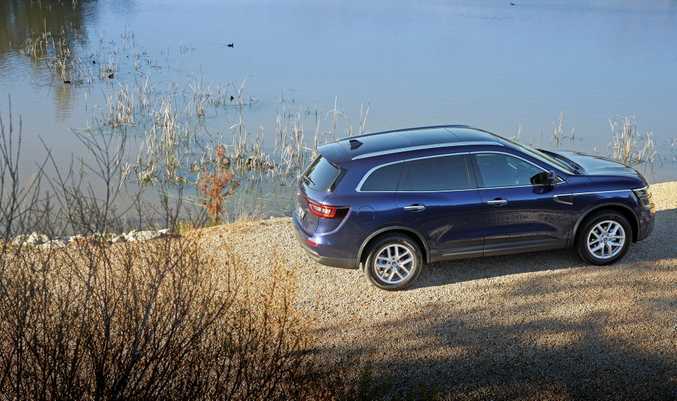 THE medium SUV market seems to have taken on a life of its own, growing faster than Jack's magic beans with 20% of all cars sold last year coming from that segment. It's no surprise then that manufacturers are lining up for their share of the giant's gold, either bringing new product to market or improving existing offerings to both keep old customers and attract new ones. 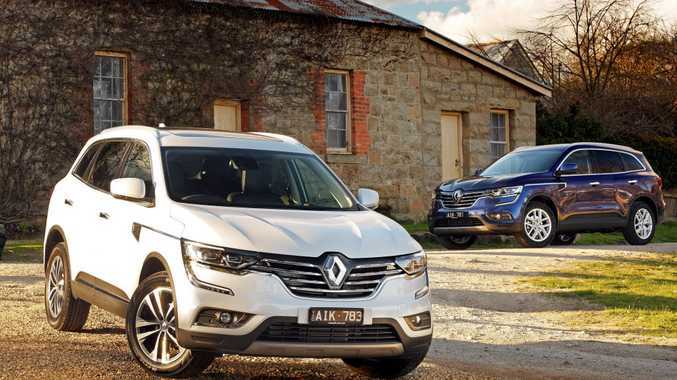 The Koleos is Renault's hero in this story with the latest offering in 2WD and 4WD guise expected to really drive the company's intent to be more than a bit-part player in Australia. It is bigger and better than the outgoing model with a powerful design and spacious interior, and while it may not be a giant slayer, it certainly has the nous to deliver the French manufacturer a happy ending. 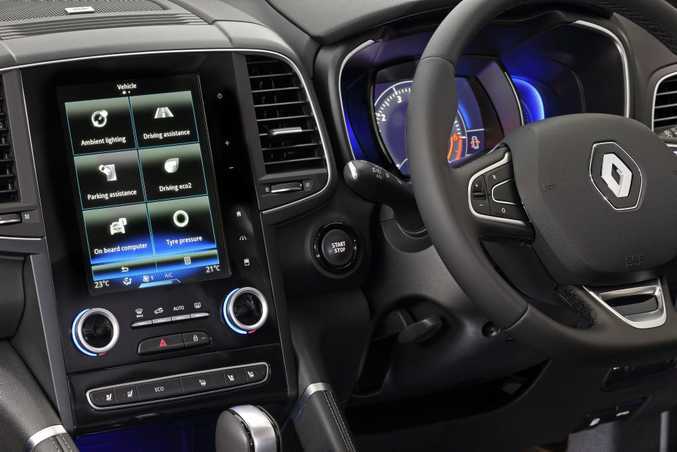 A more refined, luxurious interior was one of the cornerstones of this new Koleos and Renault's designers have responded with a no-fuss, sleek console matched nicely with good material choices with just enough texture for a feeling of almost effortless class. An 8.7-inch portrait colour touch screen - a control-centre of sorts - makes a statement in the dash; the surrounds uncluttered by the usual dials and buttons. 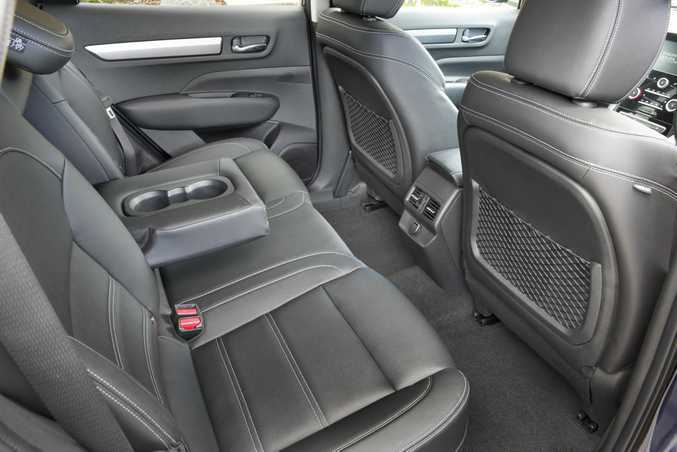 The seats are noticeably more enveloping, the improved side bolstering and lower back support adding to the comfort. There is real leather for the range-topping Intens only, but honestly the other variants don't suffer from the lack of it. For it is the spaciousness, particularly in the second row, with its 289mm of knee room, that is the true champion in this interior tale. 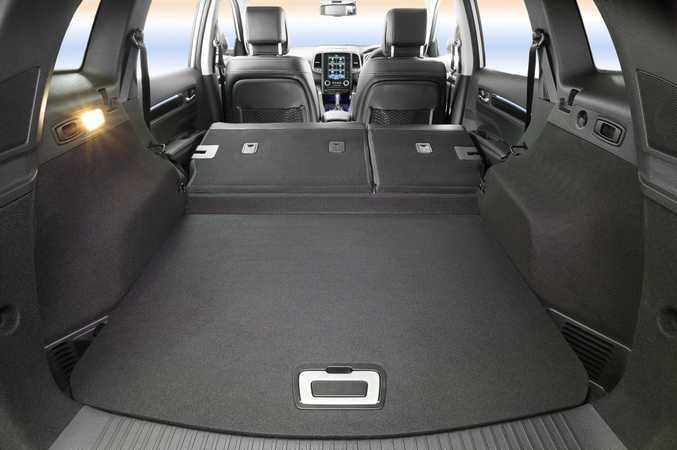 So much so in fact, that even those passengers who exceed 6ft are able to travel comfortably in the back. 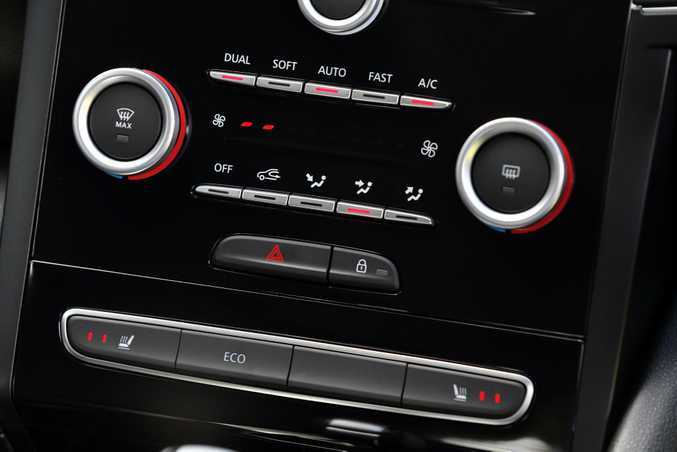 There are in-cabin storage options including size-adjustable central cup holders that can be heated or cooled. 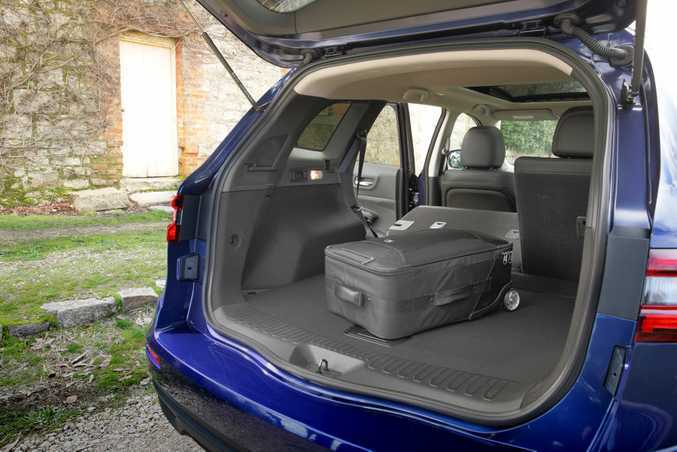 A 458-litre boot with an easy-load lip provides ample room for luggage which grows to a really special 1690 litres with the one-touch, easy fold rear seat laid down. This Koleos carries over the same 2.5-litre petrol engine that did duty in the outgoing model and while power and torque remains the same, the compression ratio has been increased, friction reduced and lighter mechanical components used to improve fuel consumption and emission figures. All variants are paired with an Xtronic Continuously Variable Transmission, an able little unit that certainly cannot be faulted for a lack of trying. 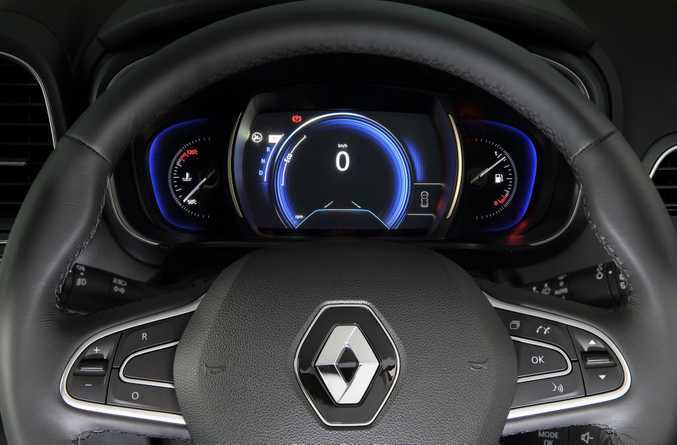 Look, we are not really fans of CVTs, their droning tends to hurt the ears, but Renault claims this example offers smoother, more dynamic driving. On a picturesque launch drive route through the north coast of New South Wales, for the most part on secondary roads, we found the Koleos an enthusiastic performer. It was composed and balanced, with even deep ruts, fallen trees and loose gravel doing little to halt its progress. Brakes are sharp, there is hardly a sign of any wallowing and it is sharp enough out of corners to keep you interested. Both the 2WD and 4WD have a tendency to stick out its bottom on more than the odd occasion. True, it manages to right itself quickly without fuss but is nevertheless noticeable. 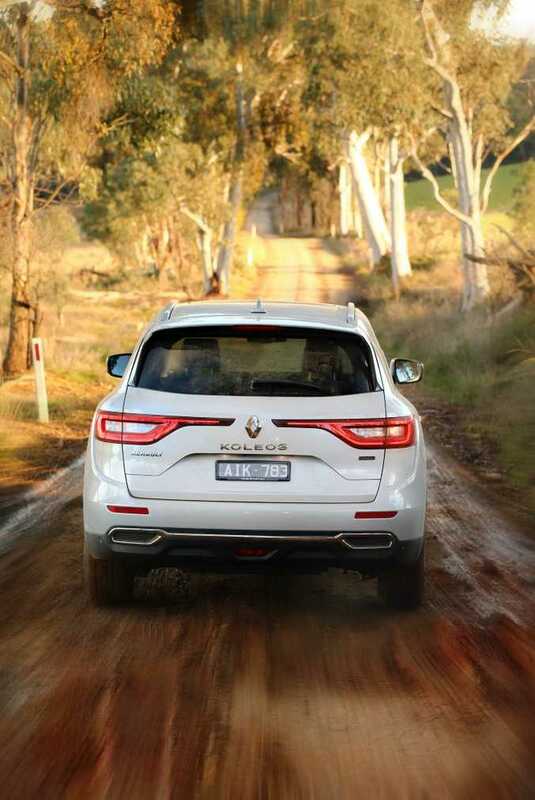 On the bitumen, which is where it will spend most of its life, the Koleos is more than competent and quiet too. A quick burst brings that trademark CVT whine as it takes a deep breath and gathers itself but once at speed the going is smooth and clearly comfortable. French marques tend to be a generous sort and Renault is no different. The 2WD entry-model Life is not short on equipment with inclusions numbering 17-inch alloys, rear view camera with parking sensors, R-Link 2 multimedia system with voice control and custom screens, 7.0-inch landscape colour touch screen with fingertip controls, dual-zone climate, auto headlights and rain-sensing wipers, and leather steering wheel. The mid-range Zen, expected to be the volume seller, adds electric parking brake, push-button start, heated front seats, 18-inch alloys, rear privacy glass, artificial leather upholstery and electrically adjustable driver's seat with lumbar support. The top specced Intens also gets 4WD wheels with 4X4 i-technology, LED headlights, remote engine start, 8.7-inch colour touchscreen, hands-free power tailgate, panoramic sunroof, leather trim and a host of safety features including blind spot warning, forward collision warning, lane departure warning, park assist and side parking sensors. 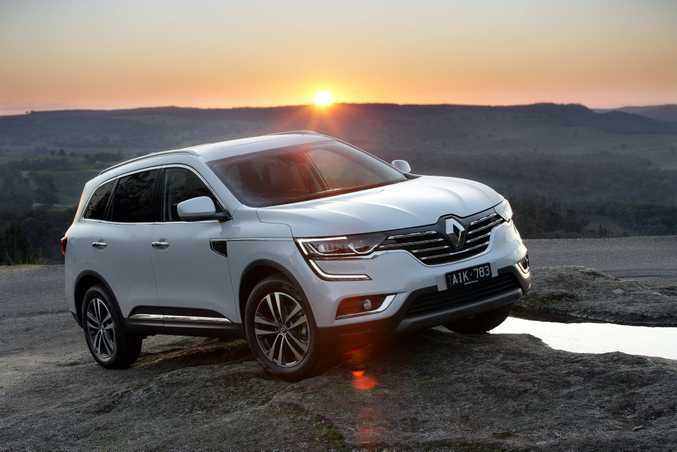 According to Renault, fuel efficiency figures have dropped to 8.1l/100km for the 2WD and 8.3l/100km for the 4WD. A diesel option is expected late next year. The Koleos comes with a five-year, unlimited-kilometre warranty, five years free roadside assist, and the first three services capped at $299. Service intervals are 30,000km or 12 months. The Koleos has gone from the shortest in this medium SUV market to the longest, with competition coming from the Mazda CX-5, Toyota RAV4, Hyundai Tucson, Kia Sportage, Honda CR-V, Ford Kuga and Subaru Forester to name just a few. This Koleos is nothing if not a practical option. Surprisingly, while you would think this is an ideal family vehicle, it is empty-nesters, say Renault, who have proved the staunchest ally. 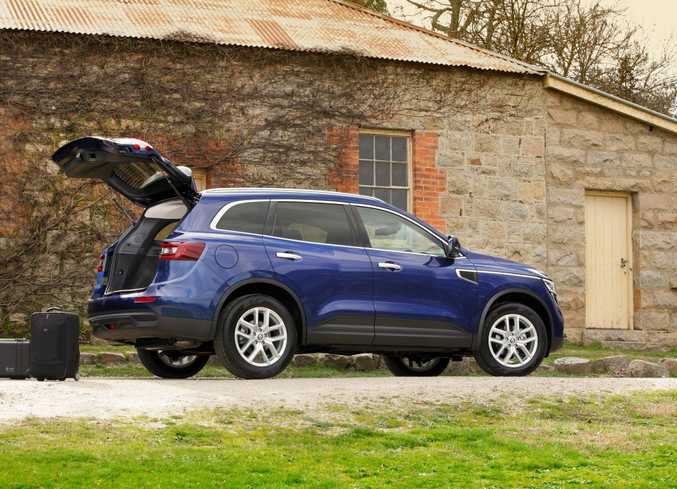 It offers the space and comfort this demographic needs, the wider door openings to allow easy entry and exit, cavernous boot space and the sort of technological innovation that is appealing. The decent ground clearance (210mm) and approach (19deg) and departure angles (26deg) allows comfortable travel on secondary roads. It would be nice to have some extra safety gear in the mid-range Zen instead of having to option it. Powerful muscular lines, a broad stance and new chrome grille with unmistakable Renault badge points to elegance and dynamism. The wide horizontal tail lights, chrome inserts and c-shaped LEDs add to the Koleos's presence. 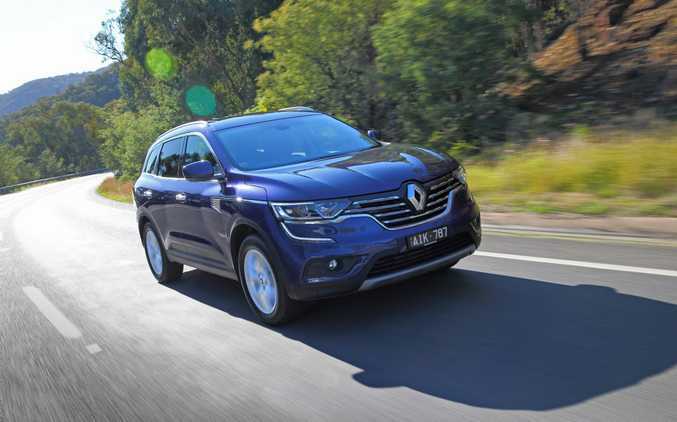 With its spacious interior, sharper styling and on-trend inclusions, the new Renault Koleos is easy to like. An excellent warranty and improved dealer support also adds to the allure. 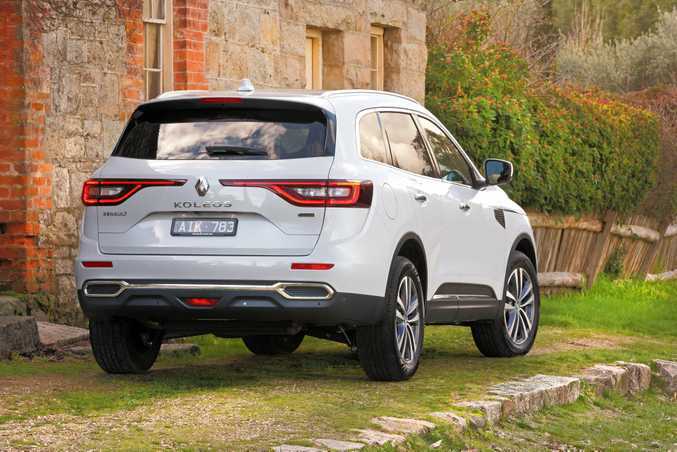 The Koleos is a medium SUV that makes sense and is likely to prove the most important part of Renault's equation for success in Australia. Model: Renault Koleos 2WD and 4WD. Details: Five-door front-wheel-drive and four-wheel-drive medium SUV. Engine: 2.5-litre four-cylinder petrol generating maximum power of 126kW @ 6000 and peak torque of 226Nm @ 4400rpm. Consumption: 8.1 litres/100km. combined for 2WD and 8.3l/100km for 4WD. Bottom line plus on roads: Life - $29,990 (2WD); Zen - $33,990 (2WD), $36,490 (4WD); Intens - $43,490 (4WD). What we liked: Spacious and refined interior, comfortable drive, good value. What we'd like to see: better safety package for lower variants, quieter CVT, more oomph. Warranty and Servicing: 5 year unlimited kilometre warranty, 5 year roadside assist and capped-price servicing program.